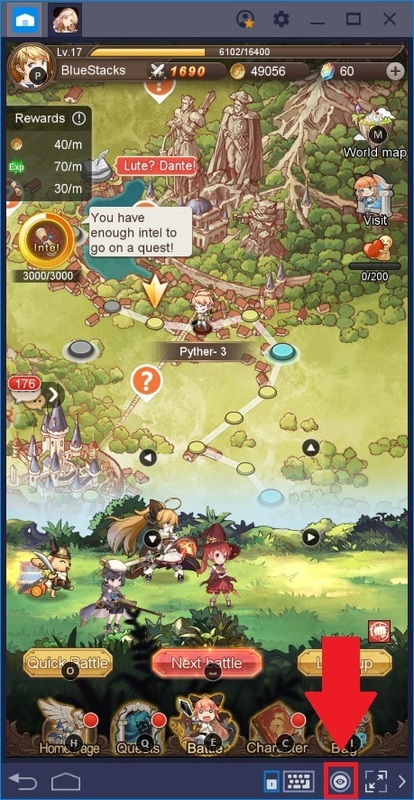 In the mobile gaming industry, there are heavy games that require your attention, and other titles that, while engaging in their own right, are not as hectic as others. And then there are games like Aurora Legend whose strongest point is the fact that it plays itself. Games like these are ideal for players who have busy schedules and that seldom have time to sit down and play. As we mentioned in our review, Aurora Legend is a new title by Rastar Games, which follows the adventures of your heroes through the eponymous world of Aurora. Throughout your journey, you will need to unlock new characters, improve their stats and equipment, and create unbeatable teams that can stand up to the legions of roaming demons and monsters. However, unlike other games in the genre, Aurora is designed so that it plays itself with minimal interaction required on your end. Even while offline, the game continues farming for materials and gold so that, when you have some time, you can sit down and play without having to grind for resources. In many aspects, this game is more about micromanaging your team and improving each unit. In this manner, they can travel the world unimpeded and bring back all the materials that you need to fund your expeditions. Nevertheless, by taking a few seconds to level up your characters and outfitting them with proper gear, your odds of success will increase dramatically. 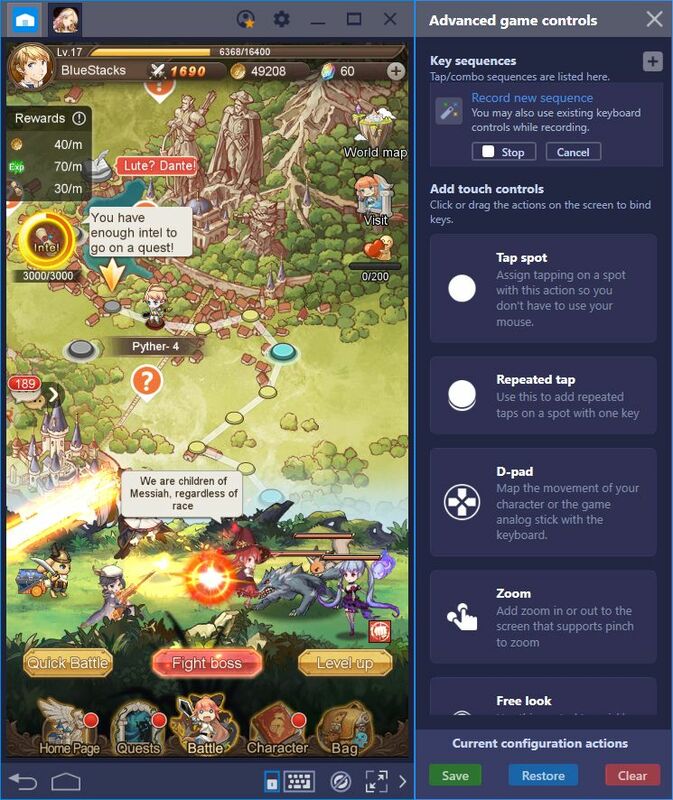 As you may have gleaned from the title of this article, we’re here to talk about how to use BlueStacks to improve your experience in Aurora Legend. However, as a game that mostly plays itself, what can you possibly do to make things even easier? Stick around and you’ll see! In Aurora Legend, you will be mostly navigating through menus in your quest to create a powerful army. In fact, everything you do will likely be menu-related since the battles are fought automatically by your team. Because of this, you could stand to gain a lot by creating a control scheme that allows you to navigate through every menu item using your keyboard. 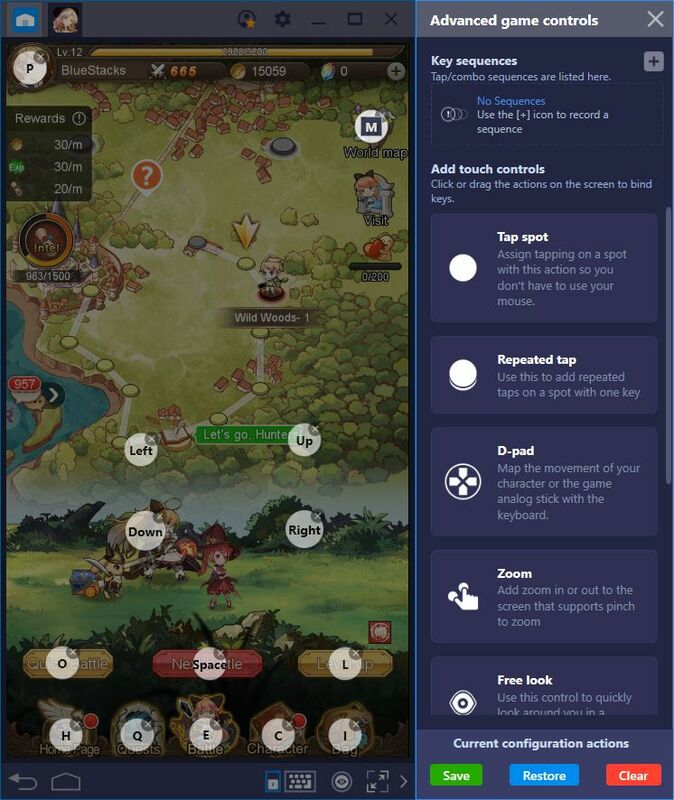 Luckily, this is exactly what the BlueStacks Keymapping tool was designed for. With this function, you can create personalized control schemes for every single game that you play. These schemes allow you to make use of your mouse and keyboard to obtain much better control over your games, compared to the traditional touchscreen of your phone. Take a look at the control scheme that we’ve created in the above image. 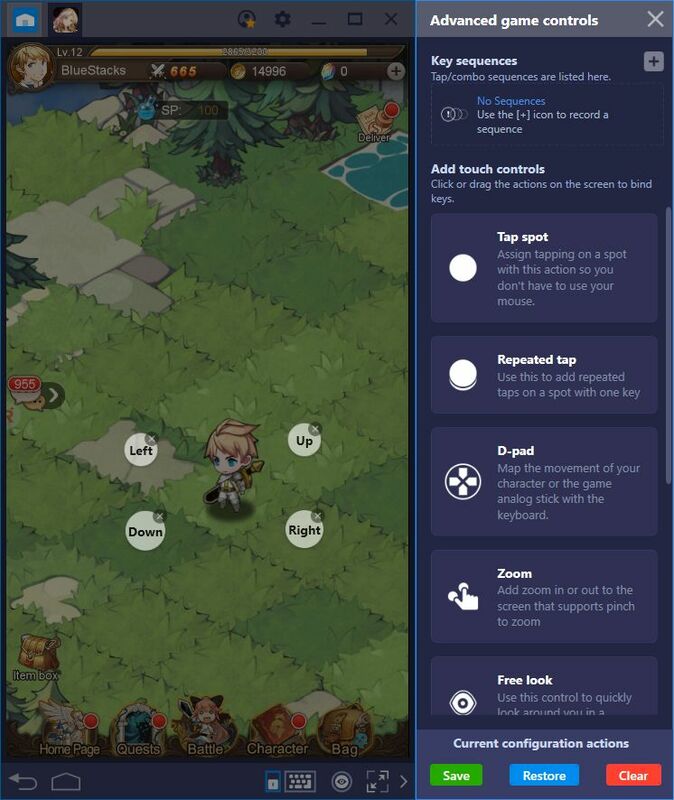 Not only are you able to access every basic menu item with the press of a button but, by assigning a key to the “Battle” button, you can dramatically simplify moving from level to level. Aurora Legend was designed as a casual game where you can advance with minimal input. What better way to simplify it even further than by progressing with a single button press? There’s another cool trick that you can do with the keymapping tool in Aurora Legend. There are certain missions that involve exploring through grid-based maps to fulfill certain objectives. In most cases, you will either have to battle a number of enemies on the map, gather certain items, or simply visit every building. Regardless, to move your character, you will have to click on the tiles that you want to move to. However, by using the proper setup, you can easily control your character’s movements in these missions with your keyboard. With your camera completely zoomed in on your character, place a shortcut on each adjacent tile, excluding the diagonals. If you’re completely zoomed in, the camera will follow your character everywhere, so he’ll stay centered at all times. In this sense, by pressing the corresponding shortcut, you can move in any direction by using your keyboard. However, remember that you’ll always need to keep your camera zoomed in and your character centered for this to work. Otherwise, your character probably won’t move in the desired direction. A good method for using this trick is to keep your controls visible at all times. By clicking on the eye symbol located just beside the keymapping tool, you can toggle shortcut visibility. In this sense, you can perfectly line up the shortcuts with the corresponding tiles at all times. As we’ve mentioned on many occasions, this is a game that is mostly played automatically. However, to advance through the story, you will need to manually move your characters to the next battlefield every time you complete a stage. This process is simple and requires only clicking on the “Next Battle” button. However, if you’re busy and can’t focus on the game, then your progress will slow down since you won’t advance to the next stage. This is where the BlueStacks Combo Key comes in. For those who are not familiar with it, this tool allows you to record keystrokes and other actions and replicate with the press of a button. 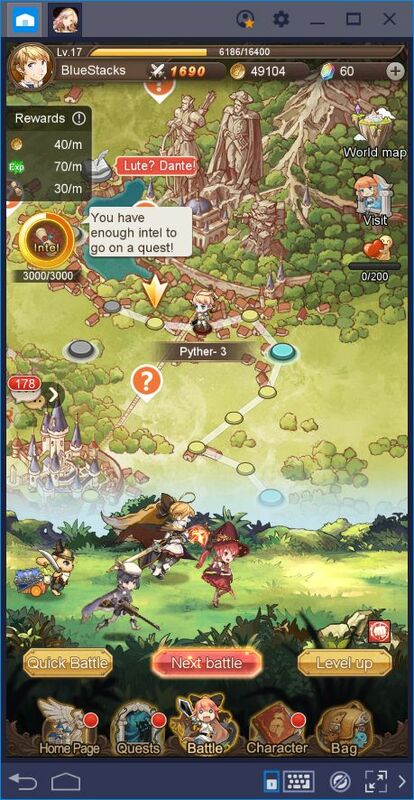 For Aurora Legend, this means that you can record yourself pressing the “Next Battle” button after clearing several stages, and then replay in the future. In this sense, you can automate your progress by having the computer clear the stages and the combo moving your character to the next level. Before you know it, you will have advanced several stages automatically. With the recording running, press the “Fight Boss” button and wait until your team finishes the fight. Afterward, wait a few seconds before clicking on “Next Battle.” Once you click it, wait until your characters move and for the “Fight Boss” button to reappear. Stop the recording once the button becomes available. Set a name and key to your combo so you can reproduce it in the future. We recommend using the number of cycles as the combo’s name so that you always know approximately how long it’ll take before having to use it again. 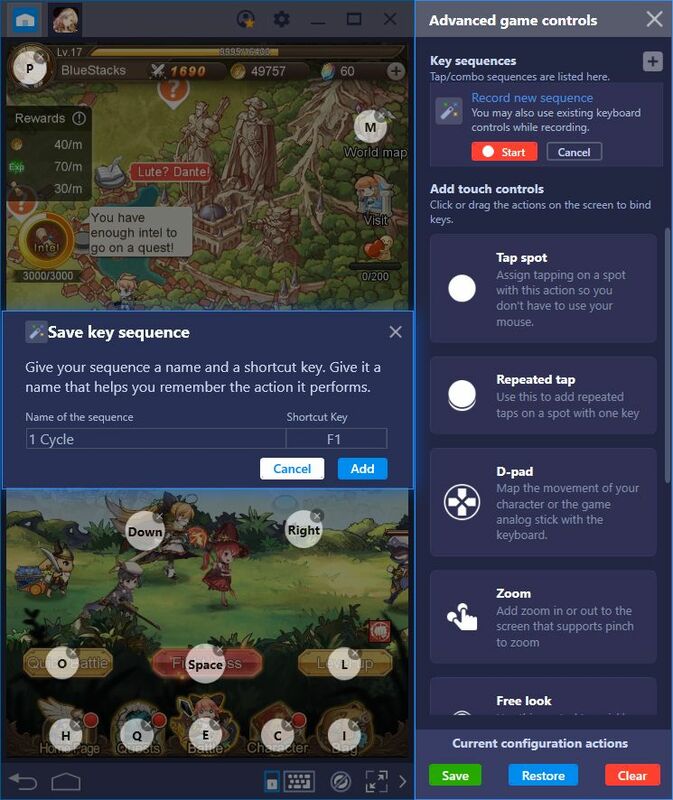 From now on, every time you want to automate a few stages, all you’ll have to do is press the combo key, and relax while BlueStacks plays for you. Awesome, right? You can configure this combo for as many cycles as you want, though you might want to keep it limited to two or three, in case you run into a tough battle. 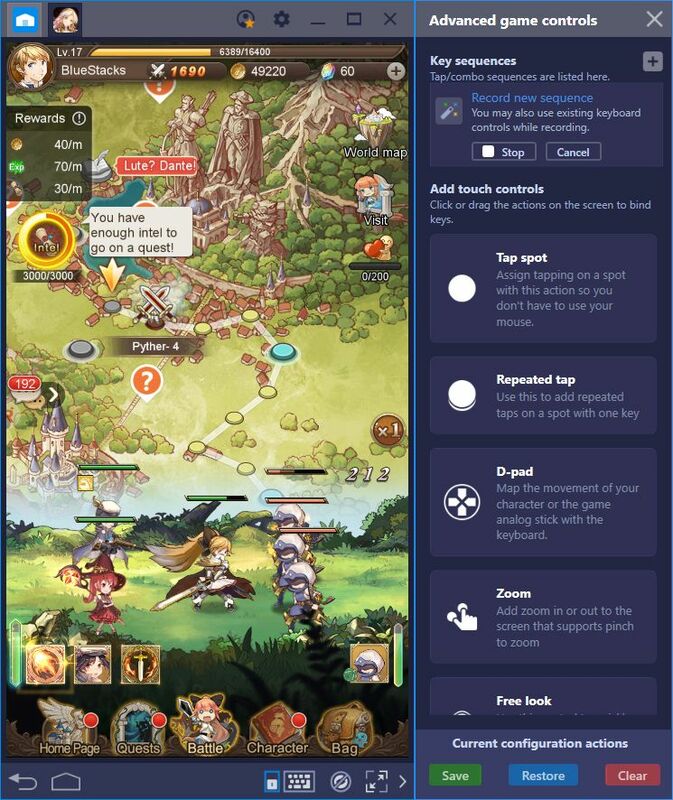 With BlueStacks, even simple, casual games like Aurora Legend can be improved. All you have to do is play around with our tools until you discover ways to use them in each game. We’ve given you a headstart with these three awesome tips. 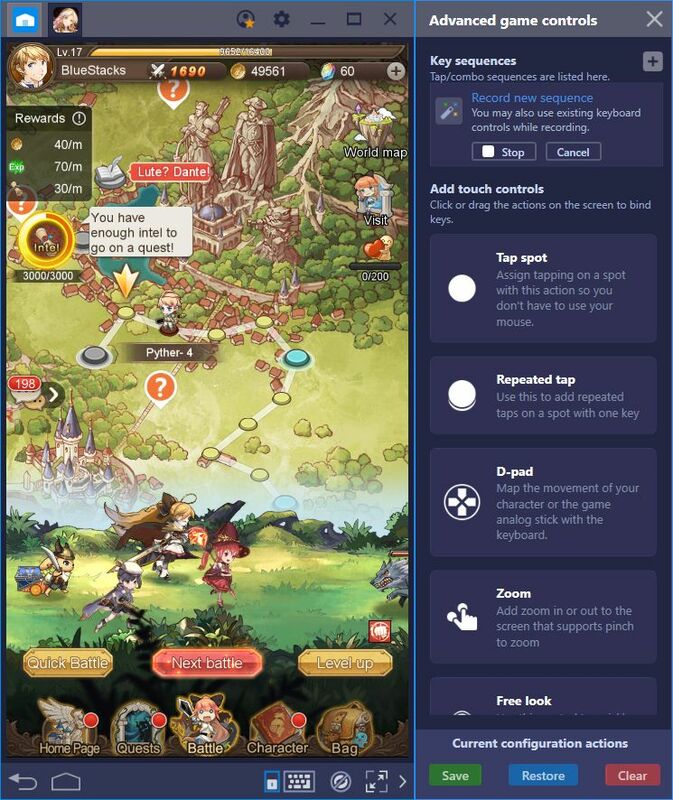 Can you find more ways to elevate your game with BlueStacks? Leave us a comment in the section below with your best tricks!